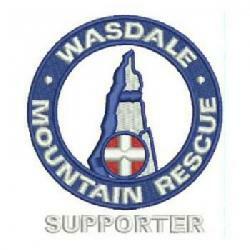 The Wasdale and Eskdale valleys hold a number of areas where the team regularly has to attend incidents. These are not just black spots where walkers and climbers come to physical harm but also where the team has to go and search for missing persons. Register with emergencySMS This enables you to contact the emergency services via text. A text message might get out from a location with a very poor mobile signal. Assess the safety of the casualty, other party members and yourself. Assess the cause of the accident – it will provide clues to the injuries sustained.